“What Next?” is perhaps the perennial question asked by this this book. It is the question that reins throughout from the mouths of many of the military men who dared to question any aggressive policy, that often was taken. The answer to that question we bear witness to. Those among the smoke and ruins of a great nations foreign policy always know the answer, it is a question that does not need answering for those seated inside the towers of government and deep in the mazes of the Pentagon is no exception. Clearly it needs no answer. 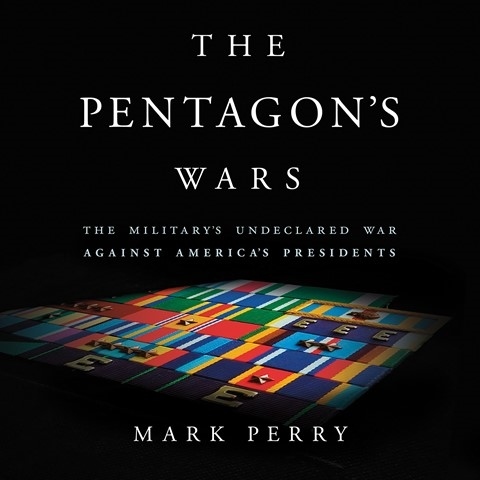 Mark Perry begins his book around the time of the first US-Iraq war, it is a seemingly natural genesis for much of the modern history of US foreign policy and war fighting. Yet, the problems that appear in this book and afflict the world go back to even before the building of the Pentagon itself. So What Next after the US Iraq War 1, well that the book does unravel. It is said that if you have a hammer, then every problem is a nail. The US government has an impressive hammer it’s military. It is part of the national psyche it is sacred and enshrined deep into the American culture. To the voting public and its elected government, the military is the proud hammer and the world for so many nails. This book tells the story from the hammer’s perspective. The professional military class of Joint Chiefs and theatre commanders who over see the confused dictates of their government, some are outspoken, yet their protests never seem to go so far as to risk their pensions. The courage that many seem to exhibit on the battlefield are absent in the leadership when men of uniform reach the political heights of command, lacking the bravery to resign or defy the government because they disagree with aggressive and deadly policy. The book covers some of the defiance, the theories and politicking that has occurred in the past near thirty years of America’s endless wars. Theories on how a post Cold War super power should address threat, those real and often imagined. The politicking of the career officers who swerve and squirm into positions of unelected power. While some Generals disagreed with the policy makers requests, they followed through with them regardless, perhaps cynically but often professionally. Dead soldiers and so many uncountable civilians be damned. The biggest defiance featured in the book came about during the early Clinton administrations handling of the ‘gay issue’ Don’t Ask Don’t Tell as it came to be known seemed to rustle more feathers than Gulf War syndrome, Blackhawk Down, the usage of military personnel in domestic Law Enforcement operations and off course invading Iraq and so on. The sacred masculine conservatism of the military is perhaps more important than being a tool for empire and needless war. The book does not really get in the nitty gritty decay that is a result of military policy, no victims of depleted uranium, raped girls outside military bases, raped female soldiers being silenced. While it does discuss some of the humanitarian embargoes that killed thousands of Iraqi civilians or the intended attack on a Chinese embassy in Serbia, for the most part it is a book that avoids the gruesome. It is a clean read, an after dinner present for those interested in intrigue and proper conduct of gentleman who wage war. “Diplomacy first” is the common assumption that many of the military men expect from their political leaders and yet this is seldom the case, the threat of war and intervention is the norm. Whether it is a cruise missile strike or the appearance of warships along the coastline of a belligerent nation, that is the American way. Gunboat diplomacy is not new, neither is it a Pentagon exception. For all it’s sophistication and complex structures the base primacy of the Pentagon and all that it commands remains that simple. For all of its immense funding, genius abilities and many talented hard workers filling it’s offices and bases, it still is a crude instrument. The baffling thing is that given the rich martial history of the United States and its many interventions the brass, those educated at West Point, seem naïve when it comes to how the US government often conducts itself. Perhaps this is a feigned innocence or maybe it is a genuine stupor of flag waving honour in any case it seems to be common among the ‘preferable’ Pentagon doves that exist in the pages of Perry’s book. Whether obeying liberal interventionists eager to bomb humanitarian messages into desperately poor regions or to impose strict blockades on impoverished peoples, the Pentagon serves. If it is for crusading Neocons wanting to create a new American century extending the Monroe doctrine to the wider world. The military and those in the Pentagon are the key implementers, they are the sole trump card for it all. Regardless of the intrigue and disagreements among the great men wearing the uniform any real principles and morality ends with the salute, they may be replaced and sent some where less regal only to have another more obedient military officer to replace them, the struggle of little dissent continues. Obedience to war everlasting. But these are men, unique and distinct beings with thoughts, concerns and very human dignity and yet when it suits they hide inside the uniform shirking moral responsibilities to the civilian leadership, as though they are merely tools, vapid hammers being wielded by their government. Perry writes with familiar skill, as though he was inside every meeting and privy to each thought. One can’t help to question the level of intimacy that he exhibits how much of it is truly real and how much comes with the creativity of a skilled writer filling in unknowns. While much is public knowledge and perhaps well documented it is in the moments of more recent politicking that some of the information appears to certain. The Pentagon is when it desires to be an instrument of the government, the presidential sword and yet as was in the case of a first term Clinton it does not like to be told what to do…on some issues. It is clearly an independent element of the government which has influence and power, yet it does not have the power to rule on its own but neither does the White House. It is instead a symbiosis. That is how the US nation lives and breathes the convenient duality of military and civil, often war but seldom peace. So what is next? Well Iraq is in ruins, it never was a free place under Saddam that never seemed to worry the US until he invaded Kuwait. With an end to the Cold War the Pentagon needed relevance, purpose and unlike the opening of Star Trek VI no one was discussing mothballing the bulwark to an enemy that had suddenly imploded. Instead a new mission, new purpose was sought. Iraq, Somalia, the humanitarian missions of cruise missiles and airstrikes against Serbia and always against Saddam’s regime. Then from the early morning mist the terror group that some had warned about, while others had dismissed emerged and changed the US forever. The new mission was righteous, it was hard for those detractors to stop the momentum as the Bush-Cheney-Rumsfeld regime pushed for Iraq, the what next did not matter. The world is just a series of nails to the American hammer. So long as momentum and action was achieved. This is a book about war. It is not about the mangled sinews and rotting corpses buried in mass graves it is clean and dramatic absent of the reality that lies far beneath those in the White House or Pentagon. It helps the reader to better understand why it all is just such a terrible and expensive mess. Why mayhem and chaos can ravage so many innocent lives with seeming indifference. The misery and violence is far removed from the pages of the book, those in the Pentagon oversee it but it is not for them it is not their homes and families that become the dot points to history or a place on a map. The madness is that sane men and women with professional ease are responsible for it, yet despite that and apparent wisdom in many of them the simple questions can not seem to be answered. What happens next, really does not matter so long as there is war and need for the military. This is a book that would be a key follow up to the drier though as informative Pentagon Papers. If you can find this book then by all means read it, or if you prefer to listen to it as an audio book do so. It is worth your time and will help you to better understand the American wars just that bit more.